With the media throwing words around like “lawnmower parenting” and “the snowflake generation” like they are going out of fashion, many of us are now wondering how we should be raising capable children in what has become a very over indulged world. If I’m totally honest, it’s something that I worry about a lot. We have become so used to doing so much for our children, and of course there is SO much pressure to do so much for our children, that it really does feel like it takes some concerted effort when it comes to raising capable children – which in itself seems absolutely ludicrous doesn’t it? We all want to raise capable children, but in truth, are many of us actually unknowingly doing the opposite? “So,” you ask, “am I to allow my child to suffer when I can help ease her struggles?” You should never “make” your children suffer, but allow them to “suffer” as they struggle to get dressed, help bake the cookies—or go without their football gear that they forgot to take care of. Actually, true suffering occurs when children grow up without developing a sense of capability, confidence, and the joy of contribution. Allowing them to suffer doesn’t mean withdrawing empathy and support. We advocate not doing anything for a child that they can do for themselves (even though it may be more efficient to do it yourself during the morning rush). Instead, take time for training to teach them how to make their own bed, scramble eggs, and tidy the front room. 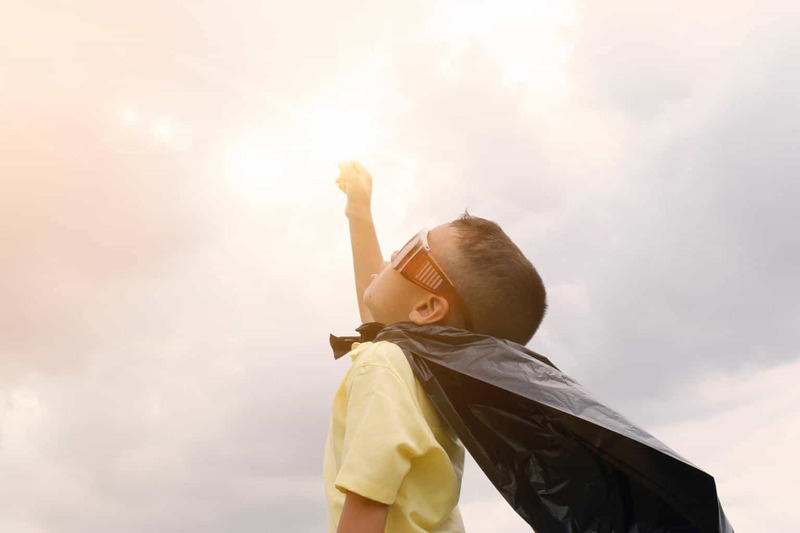 When children “suffer” a little they learn resiliency as they experience that they can handle the ups and downs of life. Through this process they develop skills, capability, and faith in themselves. How important is it to allow children to make mistakes, experience failure, and learn from them in all this? Do you sometimes fall into the trap of wanting to make kids “pay” for what they have done because you believe that is how they learn from their mistakes? We encourage parents to value mistakes as wonderful opportunities to help their children learn in an atmosphere of support instead of blame and shame. This is how they learn important life skills and to focus on solutions instead of blame and excuses. This invites them to feel empowered, curious, brave, and it’s what ultimately builds their resiliency. In this kind of supportive atmosphere, they can learn the sound judgement that comes from taking risks, facing problems, exploring solutions, and learning from the results. Ultimately, a parent’s job is to teach, guide, and encourage, and then to let go in loving ways. I love your advice about using “conscious irresponsibility” for raising capable children? Could you talk more about how that works? Parents sometimes spend endless energy and time being responsible for their children. They set their alarm clocks for them, shake them out of bed in the morning, issue incessant reminders to get dressed, eat breakfast, find their shoes, pack their backpacks, and grab their lunch, and still they find themselves driving children to school because they missed the bus. It’s a good system for the kids (at least on the surface). However, children aren’t learning self- discipline and motivation and often become discouraged about their own competence, while parents are becoming cranky, frustrated, and resentful. To be consciously irresponsible, let children know what they are capable of doing on their own, and then don’t do it for them. Don’t set the alarm clock, don’t remind them to get dressed or eat. Allow them to experience being late and hungry. They won’t starve. As they experience natural consequences, they may choose to be more responsible themselves. When they realize, you aren’t going to hover with reminders, and you will validate their feelings when the teacher lowers their grade, they will likely start to value their growing skills and confidence. They will discover their personal power in a positive way. 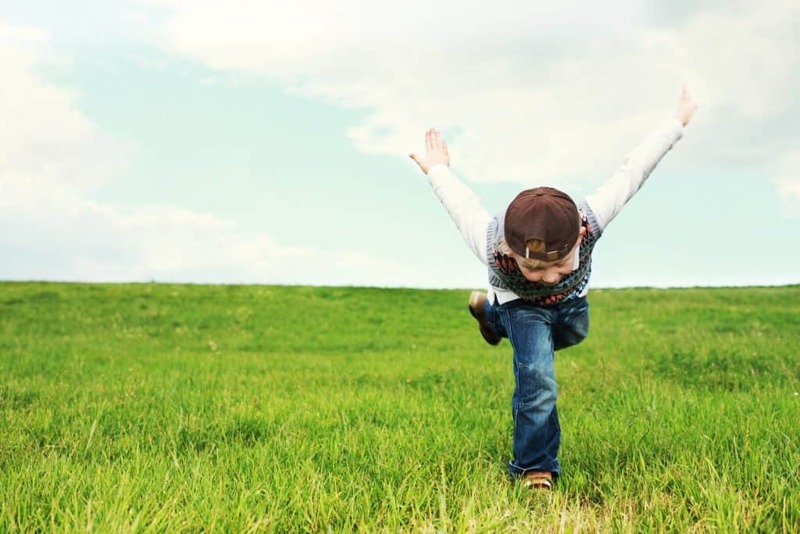 Letting go can be so hard as a parent, but it’s so important in raising capable children. Can you provide some tips and strategies on how to get the balance right? Watching your children suffer is usually harder for you than for your children. You may feel guilty and sad as you watch your child cry when she can’t have the toy she wants. However, she will probably get over her disappointment while you are still feeling bad. Many parents are still upset about a fight between their child and a friend long after the friends have gotten over it and are best friends again. 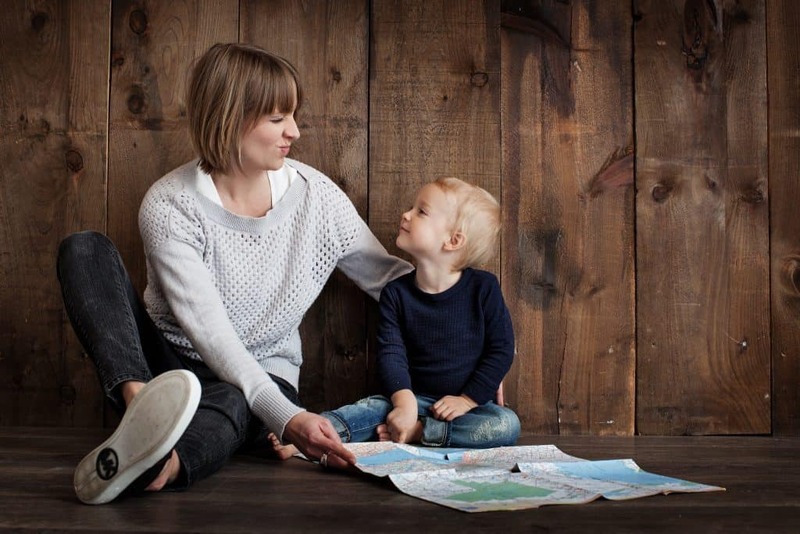 It might help if you remember that your suffering through difficulties are helping your child develop her “disappointment muscles”—which will be helpful as they navigate through all the ups and downs of life. What other tools and strategies would you recommend for raising capable children? We could write a whole book to answer this question. Oh, we have. 🙂 Positive Discipline for Today’s Busy (& Overwhelmed) Parent is filled with parenting tools for just about every challenging situation you can imagine. Most parents are surprised and pleased when they learn that these “tools” are based on universal principles that also work very well in the workplace and with your partner. All of the tools are respectful to child and parent, leaders and team members, and mommies and daddies because they are based on the basic principles of treating everyone with dignity and respect, connecting before correcting, focusing on solutions, and celebrating mistakes as opportunities to learn. You could say that all the tools are designed to create encouragement in all relationships. Where does parental guilt and the general feeling of overwhelm sit within all of this? Children absorb the stress and unhappiness of their parents. For instance, if parents believe pursuing their professional goals by working and not being with their children all the time makes their children suffer, chances are they will feel guilty. That guilt may make them feel stretched to the limit as they try to compensate for being absent. They may consequently choose ineffective parenting strategies such as giving in too much, pampering, rescuing, and rendering their children incapable by robbing them of opportunities to contribute and to solve their own problems. If on the other hand, parents feel happy about their decision to work, understand that working gives their children a great opportunity to feel capable by being needed, and provide guilt-free love when they are with their children, everyone will feel a sense of love (belonging) and significant (responsible and capable). And, there is one tool that is essential. Give up any attempt at perfection. The huge benefit of giving up perfectionism is that much of the guilt and feeling of overwhelm goes away. Your children will feel your attitude more than anything else you do. If you are happy practising encouraging parenting tools, they will absorb this attitude. If you are feeling guilty, they will feel the unease and usually learn to push your “guilt buttons”. Develop and attitude of gratitude. Remember to schedule special time and have fun with your kids. Self-care is essential to be able to have fun juggling a busy (and sometimes overwhelming) schedule. And yes, juggling can be fun. To make sure you have the kind of energy and attitude required, we cover many ideas for taking care of yourself in our book. Well I hope that advice on raising capable children was useful. 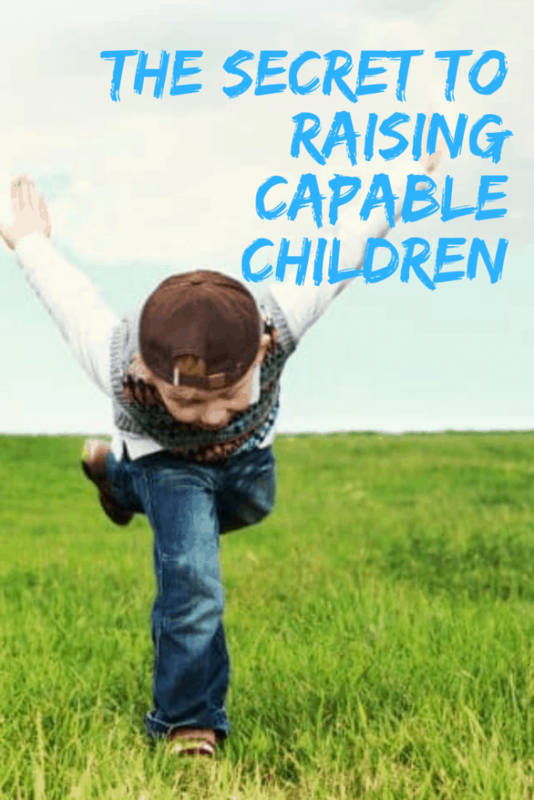 I’d love to hear your thoughts on raising capable children in a comment below. Previous 5 tips for keeping your energy up as a busy mum + #WIN! Great post this! I always seem to think it’s so important to let children make mistakes, especially as that’s one of the biggest ways that they learn at this age! The snowflake generation, I have not heard of that term before, I am going to look it up!! I allow ours to take some risks and I think it is so important for them to learn and grow, and also manage risks in the future. I naturally want to help my children do things. Sometimes my husband says leave it, they need to learn to do it themselves. I think we do wrap them in cotton wool more so now than when I was a child. The morning scenario rings so true. I know they won’t starve if I let them miss breakfast because they couldn’t get themselves ready in time, but knowing it and following through are two different things. Oh, the guilt! This is so true, so many parents are raising their kids wrapped in bubble wrap and they just aren’t prepared for the real world. Kids need to make mistakes etc. It’s how we learn. This is great advice. It’s so important that kids are allowed to make and learn from their mistakes so they can grow up independent and self-reliant. I think I will check out this book! I love everything about this post. I am an advocate of teaching my children to learn for themselves, by making mistakes, being independent and resilient.